Scoliosis is a curvature of the spine. A healthy spine runs straight down the middle of the back, while a scoliosis spine curves to one side. Though some curvature is normal, anything above 10% can affect the quality of your life. Sometimes the spine bows outward, creating a “C” shape and other times it appears to weave outward more than once, creating an “S” shape. A curvature that is less than 20 degrees is considered mild. Curvature of 20-55 degrees is considered moderate, and anything higher than 55 degrees is severe. Besides the spine, other symptoms of scoliosis include uneven shoulders, an uneven waist where one hip is higher than the other or one shoulder blade that is more prominent than the other. 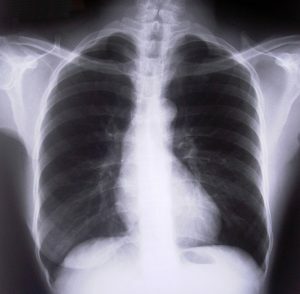 In more severe cases, the ribs may stick out or appear more prominent on one side. 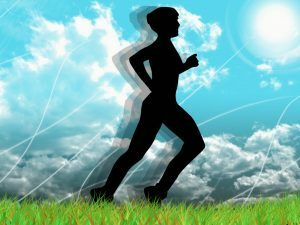 It can sometimes lead to unusual gait and pain. Infections of the spine: caused by a virus, bacterial or fungal organisms that have spread into your bloodstream to the vertebral discs. Neuromuscular conditions: including muscular dystrophy or cerebral palsy. Scoliosis can begin at any age, from a birth defect to lifestyle changes in later years. The curvature can result in pain in the back or in pain that shoots through the neck, hip, legs or other extremities. Increased pressure on the spine can put pressure on the nerves between the vertebrae, or result in weakness or numbness. Especially if you had scoliosis as a child, you are more prone to have chronic back pain as an adult. Proper chiropractic care can reduce the pain associated with scoliosis and help to improve your form or posture, especially if the curvature is below 40%. As your posture improves, the amount of pressure on the nerves between your vertebrae decreases and you will find you have more mobility. It can even help to prevent further spinal problems. Spinal manipulation for scoliosis actually dates back to the time of Hippocrates, who lived from 460 BC to 370 BC in Greece. He is considered the Father of Western Medicine, and he believed that proper alignment of the spine contributed to the individual’s health. Modern day chiropractic care dates to 1895 and Dr. Daniel David Palmer of Iowa. The term chiropractic was coined in the late 19th century; chiro means hand and practic comes from the Greek word praktikos, meaning practical. Chiropractic care for scoliosis is based on a drugless system, viewing the spine as part of the body’s mechanics and adjusting it to work more efficiently. Dr. Nance may use his hands or a machine to manipulate the spine, coaxing the bones, joints and muscles into the proper alignment. It is non-invasive and is often sought as an alternative to surgery or wearing a back brace. Dr. Nance will first perform a series of tests to determine whether you have scoliosis and to what degree. The tests may include x-rays as well as observation of your spine as you bend, walk or perform certain movements. He will also discuss your discomfort and where you feel the pain, how severe it is, and when it tends to be worse or aggravated. He may suggest lifestyle changes, exercises or movements and other non-invasive changes you can make to help alleviate the pain. Dr. Nance will also determine how rigid your spine is, and whether the joints, discs, muscles and bones are aligned properly. He has in-depth knowledge about the nerves of the spine and how increased pressure on any nerve can result in pain that can resonate throughout the body. Nerve tension is one of the biggest reasons patients seek medical care, and pressure on the nerves can greatly affect your quality of life and your mobility. By alleviating that nerve tension, you can begin to feel better almost immediately. Dr. Nance will also constantly assess your balance and continue to adjust to gain greater balance. This, in turn, sends signals to the brain that further helps your posture. Especially if you have a job or habits that have negatively impacted your spine, this care can retrain your body and brain to work together again in the way it was designed. This is referred to as sensorimotor integration. He will also do his best to help in reducing the curve angle, which can reduce your pain and prevent the scoliosis from worsening. Call today for your free consultation. Once Dr. Nance understands your concerns and the amount of pain you are experiencing, he will design a unique approach to help you become pain-free without surgery and without drugs.